Grey Bears improves the health and well being of seniors through food distribution, volunteerism and environmental preservation. All seniors live healthy, meaningful lives. 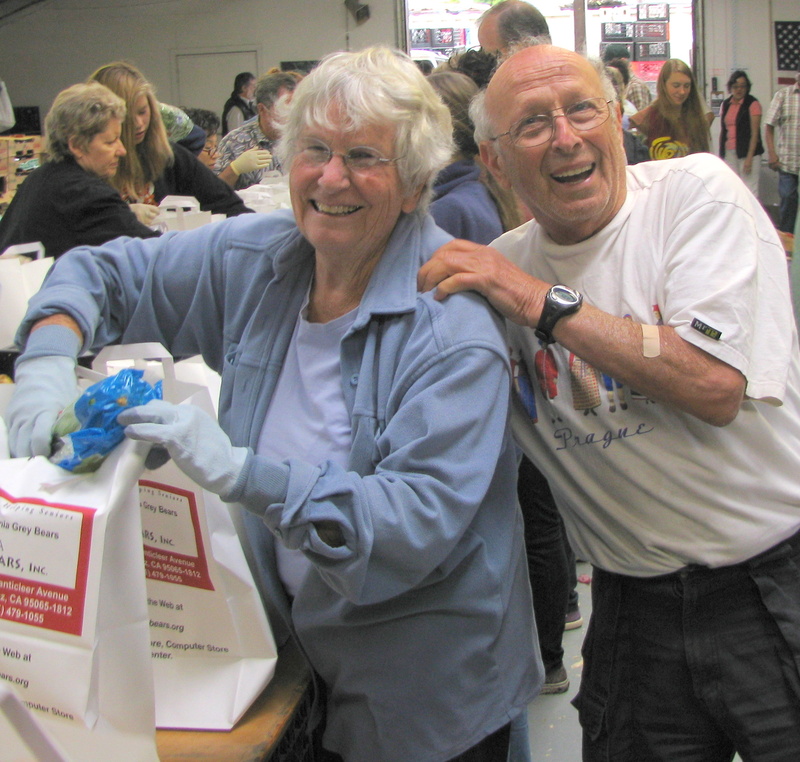 Distribute – The Healthy Food for Seniors program delivers a brown bag of fresh produce and healthy staples to 3,800 seniors each week throughout Santa Cruz County. Click here to begin receiving your bag of weekly groceries. 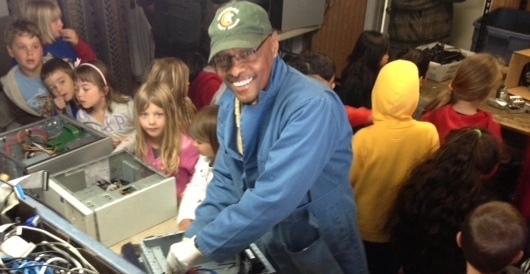 Recycle & Repurpose – Grey Bears operates two recycling centers for the general public: at our main campus on Chanticleer Avenue in Santa Cruz (including e-waste and appliances using e-steward certified processors and no drop fees) and at the Buena Vista Landfill in Watsonville. Recycled glass is turned into “sea glass” for your construction, art and decorative applications. Reuse and Resell – The Thrift Store, Computer Electronics Store, Hardware and Bookstore offer terrific values on everything for your home, kitchen, office, garden, sport, and entertainment and medical need. Browse through thousands of books both in our bookstore and our online store at Amazon.com and check out the huge selection of vinyl, CDs, DVDs and books on tape/CD. 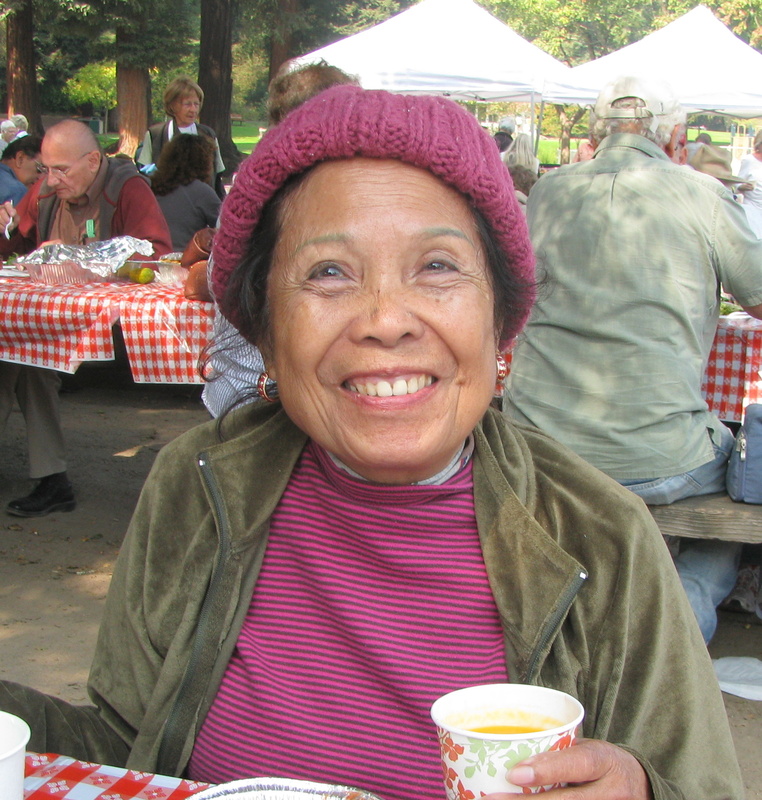 Eat-Move-Learn – Grey Bears connects seniors and our community with three annual luncheon events, weekly classes including chair yoga, computing and one-on-one tech support, Spanish, Taiko drumming, cooking and quarterly Repair Cafés. Glean – The Grey Bears Glean Team picks fruit and vegetables during harvest and conducts daily distributions of “day old” groceries from 25 markets and bakeries. Contact Michelle to join the glean team or to arrange a gleaning crew at your orchard or farm. Compost – Our six Earth Tubs turn food scraps from the Healthy Food program and 20,000 lunches served from our kitchen each year into high-quality compost for your garden, and we sell it dirt cheap in the thrift store. Awards – Grey Bears was named one of President George H.W. Bush’s “Thousand Points of Light” for community service in 1990; was a group winner of a “Be the Difference” award by the Volunteer Center of Santa Cruz County in 2011; named Organization of the Year by the Aptos Chamber community in 2015, and named “Best Nonprofit” by readers of Santa Cruz Waves Magazine and Good Times Weekly in 2018. We have been acknowledged nationally as a pioneer in food conservation, recycling and reuse for community benefit and environmental preservation. Join – Membership in Grey Bears is an investment that supports our entire community many times over. Anyone is invited to participate for just $30 per year. Those age 55+ (or your designated recipient) are entitled to receive a brown bag of produce and groceries 48 weeks a year. Volunteer – Volunteering at Grey Bears is fun, rewarding and a great way to meet other interesting people while serving our community. And you’ll enjoy a healthy hot breakfast and/or lunch, and take home a bag of groceries. 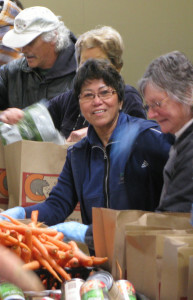 Team Grey Bears was certified as a Volunteer Service Enterprise Point of Light in California in 2016, and volunteer Eola Cross was named Hunger Fighter of Year in 2018. Donate – We gratefully accept donations of food, money, recycling, volunteer time, clean clothing, household items and vehicles. Grey Bears is a 501(c)(3) nonprofit and all gifts are tax-deductible.